When I was growing up, we had those big, all-day-with-the-extended-family meals (grandparents, parents, siblings, two generations of aunts, uncles, and cousins) for the big holidays like Thanksgiving and Christmas. I remember it was best for us kids to steer clear of the kitchen because that's where all the brouhaha of food prep, cooking, and last-minute serving details were happening. Hand embroidery on A Ghastlie Project by Alexander Henry Fabrics. If this kind of kitchen lunacy happens at your house, you might be having one of "those" hair days as well. Take a page from the Ghastlie's journal—flip your hair up, and stick a flower or colorful hair-bob in your coiffure and don't stress the small stuff. 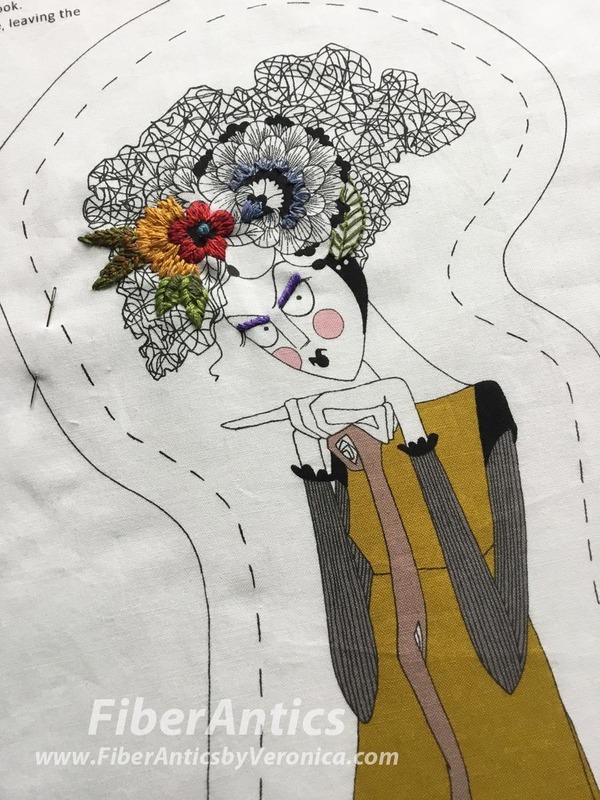 Early stage of my Ghastlie hand embroidery project. 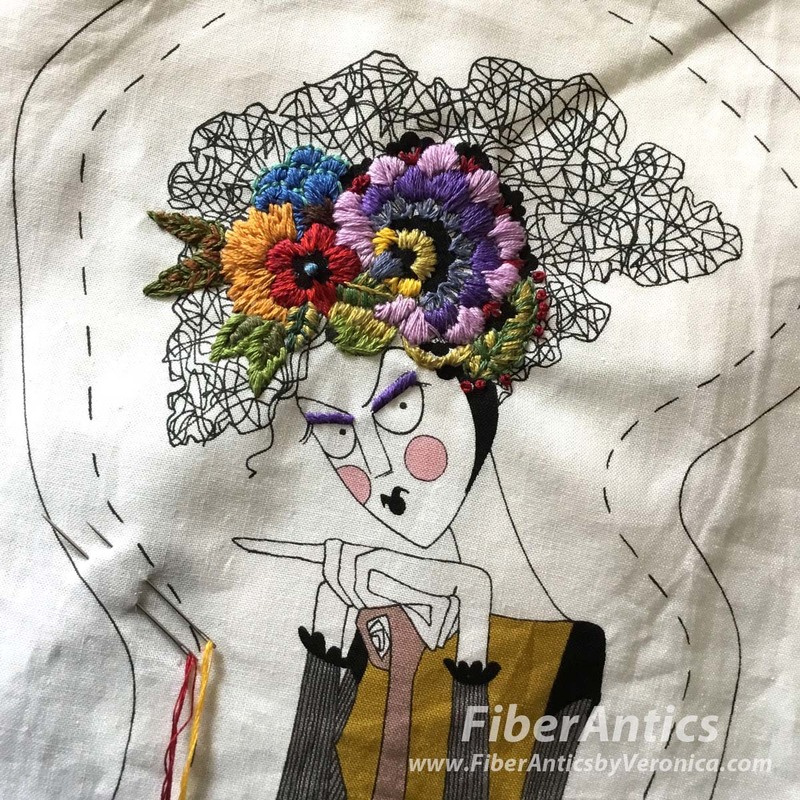 Or bring along your hand stitching, find a comfy chair in the front room, and stay away from the kitchen—until someone yells it's time to eat. Ha! Luckily my better half is the dressing maker in the family! Gobble, gobble! I got out of cooking this year, too.